Celebrate the holidays in style with these festive Pancake Santa Hats and the big guy himself might just stop by for an early snack! Once pancakes have cooled, spread a layer of frosting over the top of each before stacking them. Place a banana slice on the top layer. Next, slice the tops off of your strawberries and place them, broadside down, on top of your banana. 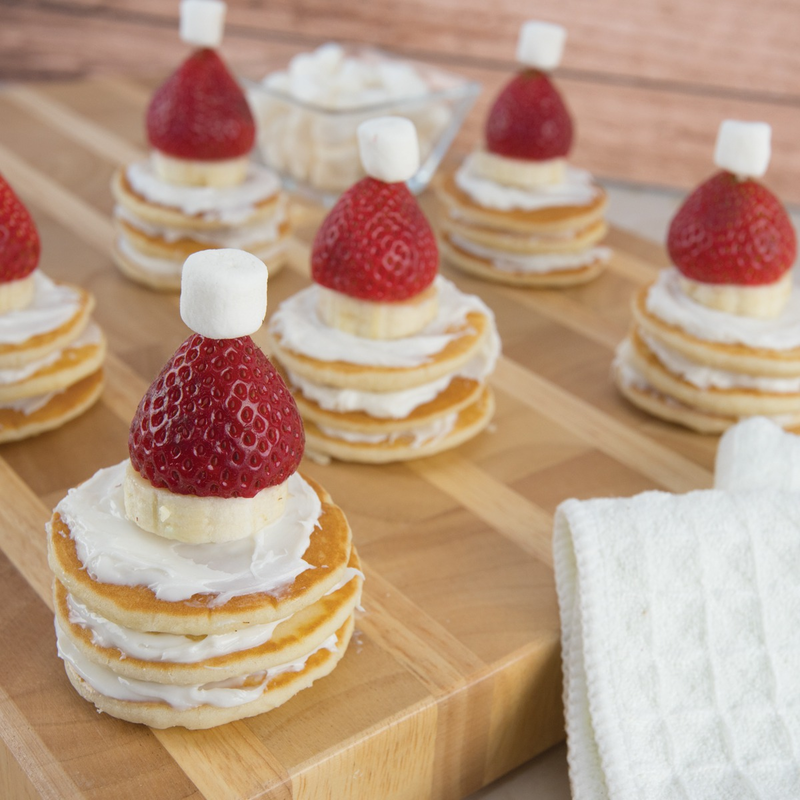 Finally, use the tip of your strawberry to secure a mini marshmallow to the top of your Santa hat and you’re ready to snack!